When Jim Young gets involved, look for him to provide leadership. He has earned extensive recognition for his teaching and research throughout a distinguished academic career covering nearly four decades at North Carolina State University. Along the way, many have benefited from his talent and energy – from professional organizations such as the American Society of Agricultural Engineers, in which he has held numerous leadership positions, including two terms on its board of directors, to the Capital Area Soccer League, in which he served as a coach. Born in LaFayette, Kentucky at the home of his maternal grandparents, Dr. Young grew up on a farm in southern Christian County. He graduated from South Christian High School in Herndon, Kentucky in 1958. With the help of a Keeneland Foundation Scholarship, he entered the University of Kentucky in the fall of 1958. In addition to pursuing his studies in agricultural engineering, he was an active member of FarmHouse fraternity and the UK Student Chapter of the American Society of Agricultural Engineers. He earned a Bachelor of Science degree in agricultural engineering in 1962, and stayed at UK to earn a Master of Science in agricultural engineering in January of 1964. He earned a National Science Foundation Fellowship, and continued his studies at Oklahoma State University, completing requirements for a Ph.D. in agricultural engineering. He served as a graduate assistant in the agricultural engineering department at UK and later at Oklahoma State. He joined the faculty at North Carolina State University as an assistant professor in 1966, moving up through academic ranks to associate professor in 1970 and professor in 1976. He has taught courses in engineering and technology at N.C. State for more than 30 years, and has served as major advisor for four Master’s and 12 Ph.D. students. Dr. Young is widely recognized and respected for his research in various aspects of crop processing, such as drying systems and environmental control. His primary focus is on heat and moisture transfer as applied to peanut and tobacco curing. He is author or co-author of more than 150 publications, reports and presentations. 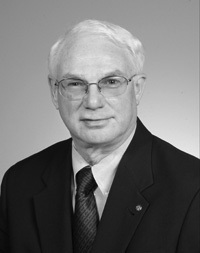 He co-authored the textbook Principles of Process Engineering, the standard text for processing courses in his discipline. Dr. Young developed a computer model to simulate curing of peanuts under various temperatures, humidity and air flow conditions, and another model to simulate growth of peanuts under different environmental, soil and weather conditions. He also designed and tested techniques for computer control of flue-cured tobacco curing barns, allowing remote access to data and manipulation of the curing schedule. Dr. Young’s honors are numerous. He was named Alpha Epsilon Outstanding Alumnus of the UK Agricultural Engineering Department for 1985-86. He has won six outstanding paper awards from the American Society of Agricultural Engineers. He has been elected a Fellow of ASAE, and a Fellow of the American Peanut Research and Education Society. Dr. Young is also active in Phi Kappa Phi national academic honor society and Sigma Xi scientific research honor society. Since May 1, 2000, he has served as head of the Department of Biological and Agricultural Engineering at North Carolina State, which has one of the largest such programs in the world. Dr. Young is guiding curriculum changes as the program moves further into biological engineering; overseeing the planning and approval of a separate biomedical engineering degree program; helping to establish a new Biomedical Engineering Department, a joint program with the University of North Carolina at Chapel Hill; increasing faculty and emphasis on bioprocess engineering and air quality concerns related to agriculture. Dr. Young’s commitment to engineering education, and education in general, goes beyond his distinguished work at N.C. State. He is active in the professional society for Biological and Agricultural Engineering, as well as the American Society for Engineering Education. For a decade he has served on the Professional Engineering Registration Committee, overseeing the writing of the PE exam for his discipline. In his community, he has served on many committees aimed at improving public education, and served as president of his local PTA. Church and sports organizations, such as the soccer league, have also benefited greatly from Dr. Young’s service. Dr. Young is married to the former Adrienne Lou Scott, a native of Earlington, Kentucky and a graduate of the UK College of Pharmacy. They have two children: Dr. Leigh Ann Young Sanders, and James Scott Young.